From what I understand, there were three major publishers of foreign TMNT comics that contained original content (though "original" might need to be stretched a bit). Division Comics published "Las Tortugas Ninja" in Central and South America, which was a combination of Archie reprints with original stories. Fleetway published Teenage Mutant Hero Turtles in the UK, which was also a combination of Archie reprints with original stories. Other publishers throughout Europe reprinted the Fleetway stories without any alteration save language. 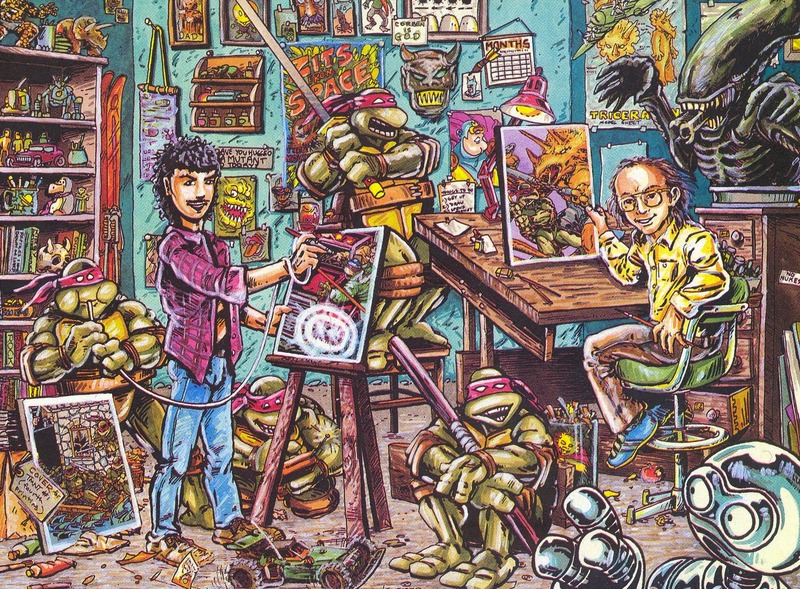 Dengeki Comics published a series of Mutant Turtle graphic novels that adapted episodes of the Fred Wolf cartoon series, as well as a handful of original stories (Mutant Turtles Gaiden and Super Turtles, respectively). Other international publishers mostly stuck to straight reprints of the Mirage stuff with no new material to speak of. Fleetway, Division and Dengeki were the three major sources of foreign, original TMNT comics. The Archies appeared in the UK and mainland Europe, though the stories for mainland Europe were edited in Sweden by Semic Junior Press, which also published both Marvel and DC titles. The European Archies did actually contain some backup stories that weren't from the original US source material, but from different (foreign) publishers as well. Also, some story arcs appeared in alternate forms, while some Archie Adventure Specials stories appeared in the ongoing monthly issues and vice versa. Some Usagi Yojimbo material was used as backup stories. As far as I know, the Archies were the only TMNT comics published in mainland Europe. At least, in the 1990s. You should add the Green-Grey Sponge Suit Sushi Turtles one-shot and the movie adaptations and prequels to this list. This is a great site. Just a suggestion that might add to things a bit - maybe post key issue notes next to each issue. For example, a list of 1st appearances would be great for chronicling things. TMNT #7 (Mirage) for example might list the first appearance of the Utroms who go on to be Kang, etc. Just stumbled on the site, I was looking for more information regarding some old comics I had missing from the collection/list: Fugitoid and I also had some Martial Arts Raphael Sai Training and Donatello Bo Staff training comics, I remember wittling branches off the tree in our yard som we could practise our TMNT techniques.